The membership of the WTO Government Procurement Agreement (GPA) expands, with promises of more to follow. Kazakhstan Commits to GPA Accession: After Kazakhstan becomes a WTO member, it is promising to join the WTO’s procurement agreement. On June 22, the WTO Working Party on Kazakhstan’s accession to the WTO adopted the country’s market-opening commitments, bringing to closure the WTO’s longest accession negotiations (20 years). 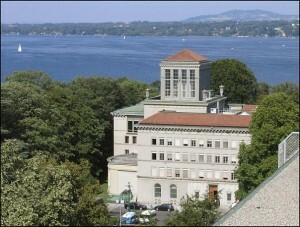 On July 27, the WTO General Council, made up of all 161 WTO members, formally adopted the accession package. As a final step, Kazakhstan’s parliament will need to ratify its commitments by the end of October. According to the Washington Trade Daily (June 24, 2015), Kazakhstan expects to complete its ratification by that time. It will then become a WTO member 30 days after it submits its ratification. Kazakhstan’s accession package includes two procurement commitments – one that is immediate and another that is deferred for four years. Upon becoming a WTO member, its entities, including its state-owned/controlled enterprises, will conduct their procurement of goods and services in a WTO-consistent, transparent manner. Then, within four years of joining the WTO, it will initiate negotiations to accede to the GPA. This Kazakhstan commitment increases to 15 the WTO members that are committed to seeking GPA membership. The others are: Albania, China, Georgia, Jordan, Kyrgyz Republic, Moldova, Mongolia, Oman, the Russian Federation, Saudi Arabia, Seychelles, Tajikistan, Ukraine and the former Yugoslav Republic of Macedonia. New Zealand Ratifies GPA: On July 13, New Zealand ratified the GPA, and will join the procurement pact in 30 days — on August 12. That will make it the 45th WTO member to be added to the GPA roster. New Zealand’s coverage commitments will be examined in a later post. Montenegro Added to GPA Roster: As noted in a recent post, Montenegro became the 16th party to the GPA on July 15. That post examined the procurement that Montenegro has agreed to open under the GPA. This entry was posted in GPA Accession, GPA General, GPA Updates, WTO Government Procurement Agreement (GPA) and tagged GPA Accession, Kazahkstan, Montenegro, New Zealand by Jean Heilman Grier. Bookmark the permalink.